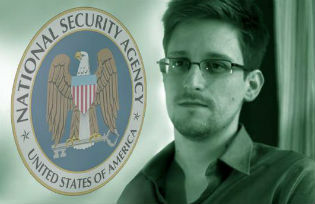 The Snowden saga is now becoming the case of the NSA Papers – a reference to the famous Pentagon Papers leaked in 1971 by Daniel Ellsberg, a defence analyst turned Vietnam War opponent. Edward Snowden’s revelations are now rippling through the globe and creating boomerang effects. We already had a major loss of steam for the Obama administration’s campaign against cyber practices from China. The credibility gap is now growing. The alleged spying by the NSA and others on allies such as the European Union and its member states makes a mockery of the distinction between national security and economic interest. Who will believe that spying on the EU delegation in Washington, whose business is largely about commercial and regulatory issues, has anything to do with national security concerns, not to mention terrorism? Who will believe that the interceptions of millions, or tens of millions, of phone communications every day in major European countries is aimed at combating terrorism? This is not the only ripple. Consider the following: the United Kingdom is, according to the papers revealed by Snowden, a major participant in intercepting phone and internet traffic to Europe. This means that the United Kingdom, a member state of the European Union, which has had more than of its share of quarrels within the EU, had large and undue access to private communications within the European Union and its institutions. There might be a bit of explaining to be done there. In haste, intelligence officials in the US have alleged that “everyone does it”, and that European states have the same practices. In any case, their scale would hardly match the immense means at the disposal of the NSA and other US agencies. But they may have a point, which is now starting to show in the way the situation of Edward Snowden is being handled by states to which he is requesting safe passage. That Vladimir Putin and his siloviki, who until recently entertained an entire network of fake American citizens as agents in the US, would be nervous about challenging the US is understandable. But that several European countries – including France, the champion of freedom – would deny overfly rights to the Bolivian president’s plane en route from Moscow simply because they fear that Snowden might be on it is very telling. Several of these very same governments have also demanded official explanations from the United States on the spying allegations. In other words, they take due notice of the message carried by Snowden – but they will do nothing to prevent the US from shooting the messenger… This is in part double talk: to the naive public, shouts of indignation; to other governments, signs of complicity in snuffing out the case. This cannot come from purely political considerations. Europe’s hand in future international negotiations is weakened by the revelations that it is so widely spied on by its main global ally or partner. And France or Germany, if not Portugal, are not Ecuador or Columbia – they are not as vulnerable to political retribution from the United States. Evidently, the hypocritical European reaction to Snowden’s pleas comes from fear that the boomerang effect will move one step further. Cornered, the US and its intelligence community may make every effort to discredit countries that give any measure of support to Snowden, by revealing their own intelligence forays into neighbours, friends and partners. One obvious outcome would be to shrug shoulders and just admit spying is universal – it just has gotten more sophisticated with electronic eavesdropping. That is the perfect fallback position for states. But this does not apply to citizens of free countries. That they are generally spied on in their most private conversations – courtesy of internet giants and brand names, or via internet loops – makes a mockery of constitutional rights. There seems to be no real policy oversight in the US, and perhaps very little legal oversight, so opaque is the court system apparently designed to grant blanket approval to this mass spying. By saying that it does not snoop on US citizens, the US government is admitting that it spies on everybody else – and European citizens, for example, have absolutely no possible recourse or say in the matter. Do they have any in their own country, by the way? If he is apprehended and brought back to the United States, Edward Snowden will become the most famous civil rights case of the 21st century in the US. But the issues of data protection, oversight of intelligence, and rules of the road between partners and allies, should concern all citizens of free countries. If globalisation is borderless, then its rules should also be borderless and not reserved to those who can claim them because they are citizens of the nation with the most developed intelligence programmes.